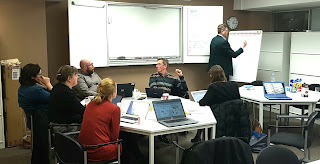 Two weeks ago the ESNO focus group on Biosimilar had there last meeting and workshop to finalise the last draft, ready to consult all constituancies. It is a collaborative innitiative of a group of ESNO members with support of Medicine for Europe, EFPIA and Europa-Bio. This information and communication guide for nurses is designed to provide support and information for nurses working with patients who are switching between similar biological medicines – this could be a switch between the original biologic medicine (known as the reference product or the originator product) and a biosimilar medicine (or vice versa), or between biosimilars.